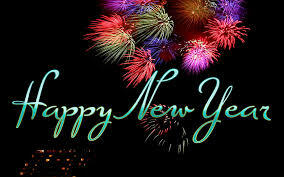 Get loads of sample Happy New Year Greetings, Prayers, Quotes and Goodwill Messages for the Celebration of the Season. It is a great collection of sample messages that you can send to relatives, colleagues, staffs, friends, customers, acquaintances, workmates, schoolmates and other loved ones. I Wish You A Happy New Year As You Prepare To Face This Year. May Peace Always Prevail In Your Mind. Happy And Promising New Year. D Yr of Glory and Favour. The new year holds so much in store for you. We want to wish you a prosperous and victorious new year. Thank you for making 201x a great year. my chosen one whom i love. That is God's voice 4 you this year 20xx. We welcome and celebrate you this year 201x. May you and your family experience younlimited access to excellence and endless possibilities. U will overtake your equals. God Bless you Through Out D New Year!!! May the blessings of the Lord answer to you every day of this new year. Welcome to your season of multiple celebrations. I thank God who has brought you this far. I appreciate God for this kindness shown to you and your family. I thank God for ushering you and your family into year 201x. welcome to your year of double honour and promotion. New are the Spirits and forever my Warm Wishes are for you. Wishing you a Fulfilling New Year. Fresh Beginnings and Optimism about the future! New years and new Months are the Significance of Change. They show that life never stops for anything. So keep moving and keep smiling. To Keep you HAPPY and SAFE all the Year long. The Lord will deliver them unto you. ur Creator, how are you going to youse this year. remember His investment on your life. God Gift yous a "BRAND NEW YEAR". may dis new year bring in new sweet things and happenings into your life. i pray and wish for you gud health, joy, progress and d vry best of 201x. 4 your sake, kings will b awake becos you have 2 b bless dis new year.